Disputes exist about the origins of golf, however, a favourite story of ours is that Scottish shepherds as far back as the 12th century knocked stones down rabbit holes to reduce their boredom, inspiring the basic game format. While many other theories exist, including influences by The Romans, Egyptians and the Dutch, what can be agreed upon is that golf as we know it has strong Scottish roots. In fact, Mary, Queen of Scots has been recorded playing a form of the game as early as 1567. In 1603, Henry Frederick, Prince of Wales brought golf to England, and following its crossing of the Scottish-English border, golf swept across the world as far as Australia. Golf has been played professionally since its establishment. But it was difficult for anyone to make a living from the game in the early days, so participation in this way was sparse. The earliest recorded game of professional golf was in the 1700s, when the Earls and Dukes of Scotland played competitively in what many consider to be the first golfing league. Sweeps came to St Andrews in the 1830s and were commonplace by the 1840s. Particularly talented was feather ballmaker Allan Robertson, who, due to his superior golfing skills was banned from competing in the 1842 sweepstake tournament. In 1860, competitions for prize money (The Open Championships) took place on the first purpose-built golf course in Prestwick, Scotland, and by the turn of the century, the game began to popularise across the world and The Professional Golfers Association was formed. From 1920, the game was dominated by names like Henry Cotton, Fred Daly and Max Faulkner. A turning point arrived in the 1960s when Tony Jacklin took victory from Bob Charles of New Zealand at St Anne’s and Lytham, evoking interest from the younger generations who, until this point, had been largely uninterested in the game. Future champions were to emerge from the very adolescents who were inspired by Jacklin’s performance. Notably, Nick Faldo, who without doubt became the nation’s most successful golf player ever. Golf societies were formed as early as the 1700s. 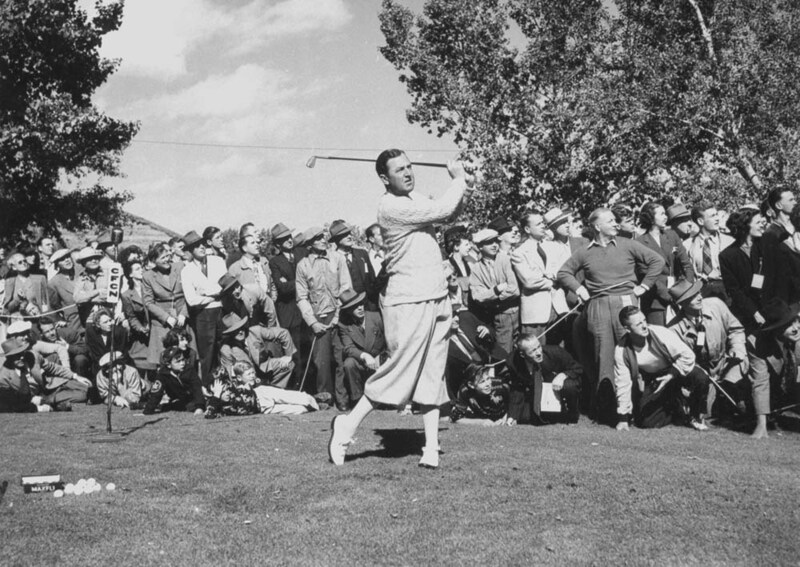 This provided opportunity for likeminded golfers to come together and play socially or in competitions, much in the same way modern golf clubs work. The Royal Burgess Golf Society is considered one of the oldest golf clubs in the world, followed by the Royal and Ancient Golf Club of St. Andrews and Royal Blackheath Golf Club. Golf clubs have always been considered exclusive, male-dominated institutions that take seriously the social and competitive nature of the game. In your average modern-day club, you’ll often find other amenities to enhance the overall golfing experience, including a bar or restaurant, spa and accommodation. But economic and social influences away from the game have greatly changed the demographics of golf clubs. Unlike the upsurge of youth interest seen in the early 1900s, golf stagnated as an ‘older man’s’ game at the turn of the millennium, the uptake of golf memberships has been in decline for the past decade, leaving it vulnerable to reaching record lows. With the introduction of advanced technology, increased interest in the game from female demographics and the cost of living becoming a more important factor in people’s lives, clubs have had to rethink their offering, catering to a more modern crowd in order to keep the historic game alive. That’s where PlayMoreGolf come in. With a recognition that times are changing, we aim to preserve the most-cherished aspects of golf while adapting golf club memberships to be more accommodating and accessible. Unlike traditional membership, PlayMoreGolf members can experience a range of golf clubs as full members, participating in competitions and holding a handicap at clubs away from home. They can also enjoy on online instant booking system, 7 day a week course access and member discounts. This improved system attracts a fresh demographic, keeping the historic and much-loved game alive for generations to come, while helping golf clubs enjoy an increase in membership and revenue. To sign up, click here. Or, to discuss your existing membership, call us on 0330 555 6555.